Before calling in a New Jersey home remodeling company, you will need to take both practical and design considerations into account as you plan your dream bathroom renovation. While, initially, the task might seem overwhelming, it truly does not have to be. By creating a budget, researching the newest trends in bathroom renovations and planning useful added features, you can transform your bathroom in just a couple weeks. To make it even easier, we have highlighted some general guidelines. First, plan a realistic timeline. You should allow about two days for demolishing the old bathroom and two days eachfor carpentry, plumbing, flooring and drywall. Tiling usually takes the longest: about three days. Elements such as cabinets, fixtures, insulation, drywall and electrical work usually do not take more than a day. 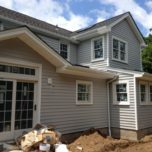 You are looking at roughly two weeks, but allowing for extra time is never a bad idea when it comes to NJ home remodeling. Decide on tiling, wallpaper styles and a color scheme. Whites and grays tend to give bathrooms a sleek, modern appearance that some find appealing. Others, however, want a bathroom full of rich colors like red or lavender. The last step is to draw a sketch. Consider the placements of lights and mirrors, take accurate measurements of your bathroom space and draw your plan to scale. This will help the professionals carry out your vision. Take these steps and your bathroom renovations should be a breeze. 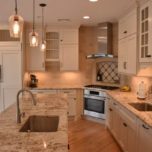 Picking out cabinets for your newly remodeled home is not as easy a task as it sounds. 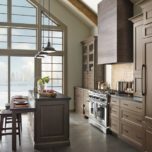 Not only can cabinets add up to 70% of New Jersey kitchen remodeling cost, but the options are endless. There is also the issue of color and staining. These cabinets need to hold everything you have to store, but also need to fit in the space you have. They need to blend into the existing kitchen décor, yet stand out enough that they are visually appealing. The conundrums can be never ending, and–often–just when you think you have a handle on s situation, something else pops up. Thankfully, there are people who do this every single day and we are ready and willing to help with your decision making process. Do not be hesitant to employ the help of professionals in this matter. We can help you narrow your style and component choices down to what will actually work. We will guide you through the process of analyzing your daily habits and meeting those needs. 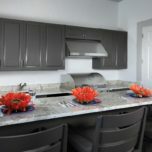 We will also be able to save you from buying unnecessary NJ home remodeling accessories. While it might cost a little extra money laid out up front, the professionals here at Trade Mark will save you extra cash in the end. Gather ideas of what you want and then give us a call. 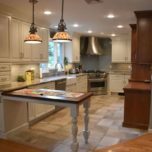 Whether you are considering NJ Kitchen Remodeling for your own personal visual pleasure or because you are thinking about selling your home, kitchen remodeling is a daunting prospect. Between the number of decisions that need to be made and the amount of money that will be spent, it is enough to scare anyone off. To make the process easier for you, we have compiled a list of five things to consider when remodeling. Layout Planning: Are you redoing it entirely? Scrapping everything? Or working around the existing? If money is not an issue, than the sky is the limit. If your budget is a concern, you might have to work around existing wiring and plumbing. Be sure to plan accordingly. Measure and Keep Handy: Measuring your space is a no-brainer. But keeping it with you is not something people think of. This will save you worlds of headaches. Get Professional Help: For the jobs you cannot do yourself. New Jersey kitchen remodeling is not the time to experiment with DIY’s. Call the experts. Understand Your Warranty – Save yourself money in the long run by knowing what’s covered. Follow these tips and you should be well on your way. Almost no one walks into the house of their dreams right off the bat. 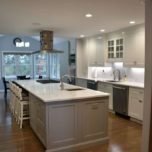 We all have ideas about home improvements that would make the place truly “perfect.” Even as we get closer to one version of perfect, our tastes evolve or styles change and we once again consider kitchen remodeling or expanding part of our home. 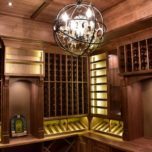 When you are looking to do some New Jersey home remodeling, you are definitely going to want some expert consultation. You are going to want to talk to the kinds of people that understand what you want but also know how to see things that perhaps you have not. Trade Mark Design & Build have just this kind of service to offer. 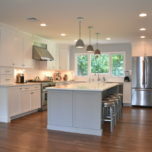 We are experts on everything from NJ kitchen remodeling to putting in home additions. 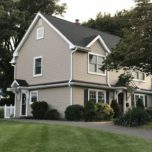 Over the coming weeks on this blog we will talk about the projects Trade Mark Design & Build excel at while also offering our thoughts on the latest NJ home remodeling trends and advice for home owners. Hopefully we will entertain and educate. Most importantly, we want to highlight the fact that Trade Mark is here with all of our experts ready to consult and help you make your home all the more perfect every single day.